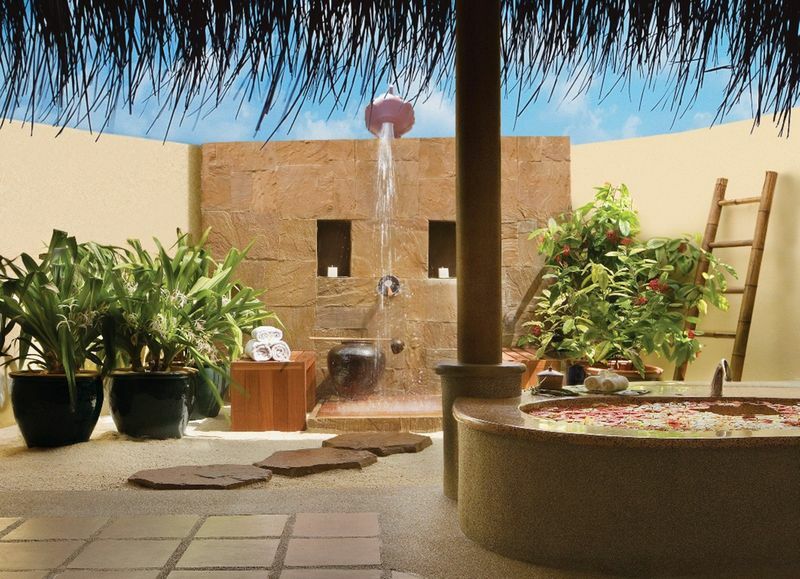 Nothing says luxury like an outdoor shower that is the embodiment of glamour and prestige. 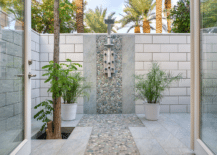 Whether your home is a modern sanctuary with a fresh trendy decor, or a rustic residence situated in the countryside, an outdoor shower is an exemplary feature in any home that wishes to reach the highest exterior standards. 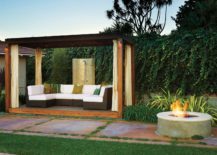 Check out our exceptional selection of 30 luxurious outdoor showers! 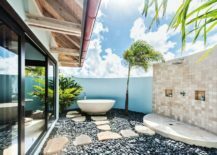 A full-size outdoor bathroom with a big tub and an open shower is a dream feature for many homeowners, the high fence ensuring all the privacy and comfort one might wish. 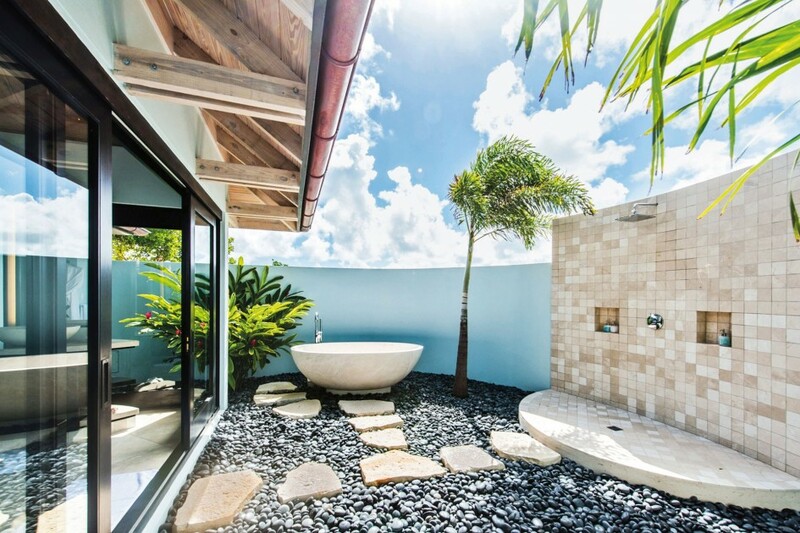 The stone-paved way to the shower area in this modern outdoor bathroom with the added green plants that capture the spirit of nature and connect it to the luxurious daily shower routine. 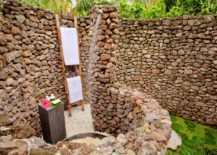 A beautiful shower set up with raw blocks of stone channels the natural ambiance and dims the feeling of being in a glamorous setting, creating an organic environment ideal for lovers of natural materials. 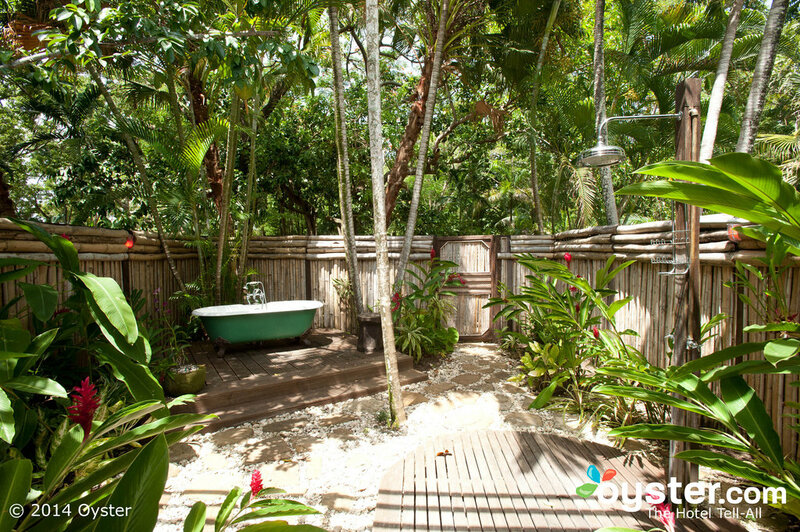 An outdoor shower that feels like it’s in the middle of the rainforest is the must-have feature for homeowners who yearn to have their house closely intertwined with natural elements. 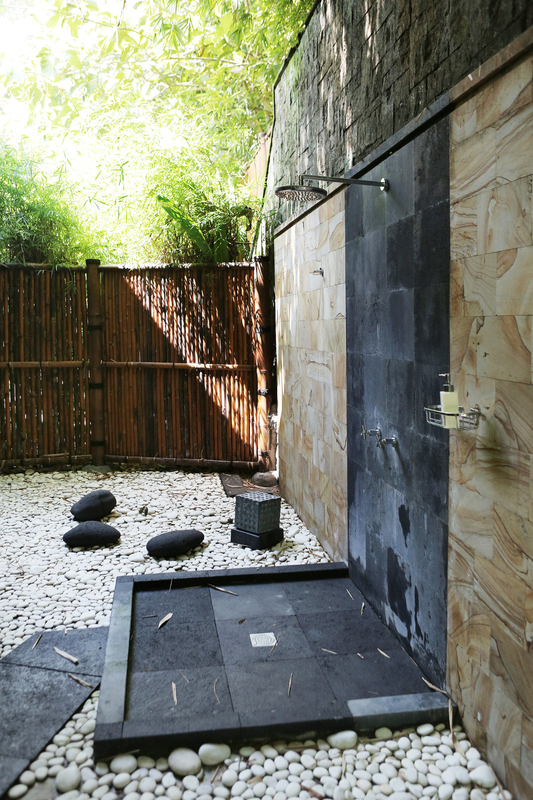 Luxury doesn’t always mean marble and gold; sometimes it’s a secluded open bathroom, a true that offers intimacy of the nature and sunlight on your skin every time you step out to shower. 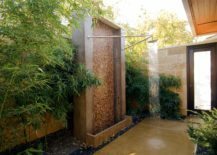 An outdoor shower that can pride itself with a warm color palette is an impeccable piece to place in areas with a lot of sunlight that will beautifully merge with the sandy colors. 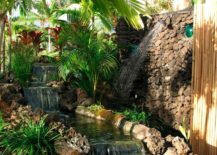 A little pathway leading up to a stone shower is a really creative way of setting up a small bit of luxury within your backyard. 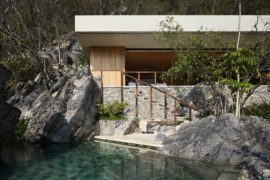 Stone is one of those elements that always blend in perfectly with a natural environment, so there’s no fear that the shower would ever look out of place. 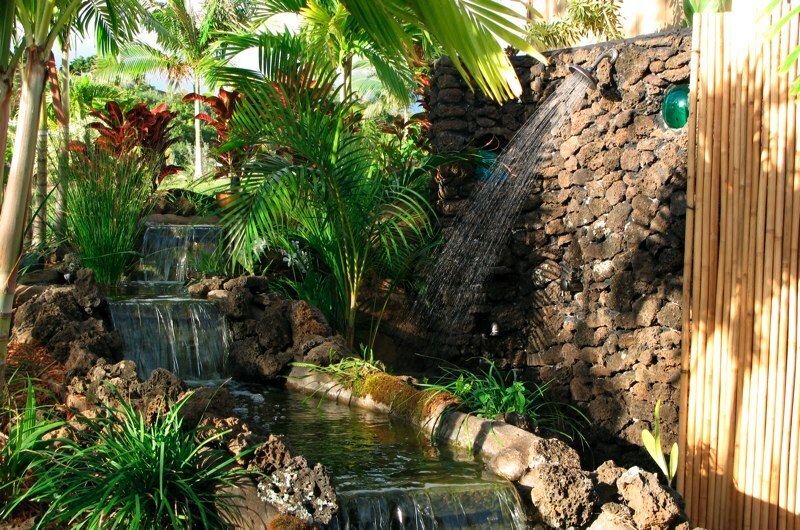 Your very own waterfall shower can be just a couple of steps deep into your yard. 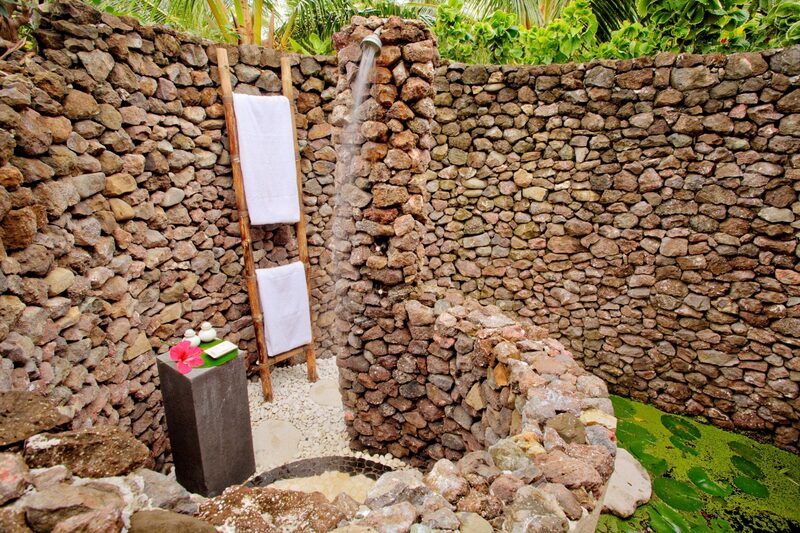 The green surroundings create a vibrant atmosphere and the stone shower feels like a part of nature. 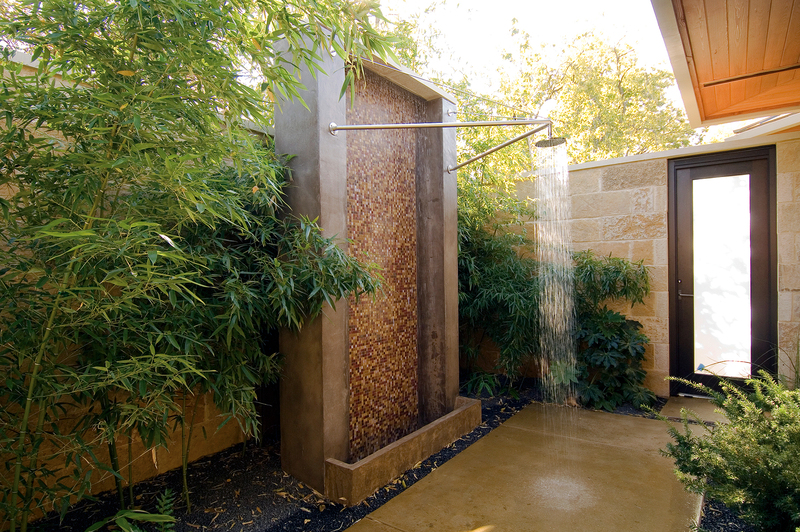 A shower made of countless little stones is not only an exceptional place to shower in but also a true work of art. 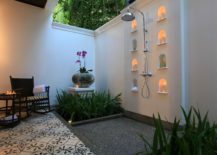 It turns a regular backyard into a truly unique experience where the shower is the center of attention. 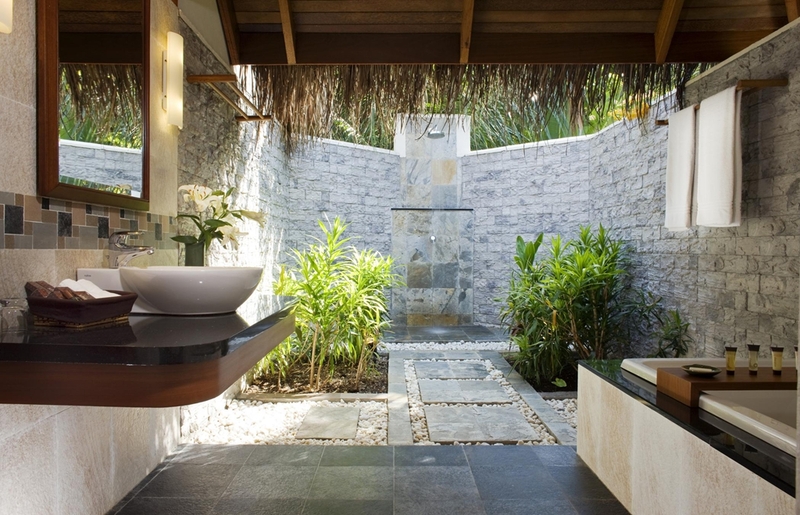 Sometimes all an outdoor shower needs in order to feel luxurious is an outstanding view! 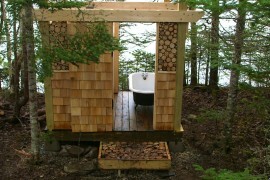 Nothing beats gazing at a mesmerizing landscape, especially if the shower is set high amongst the trees! 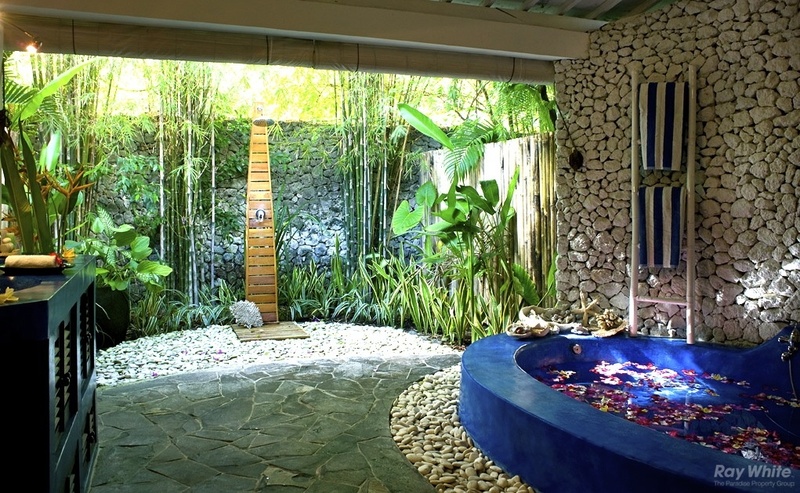 This phenomenal outdoor shower clearly represents glamour and comfort, its openness giving you much space and freedom, imitating a natural shower under a waterfall. 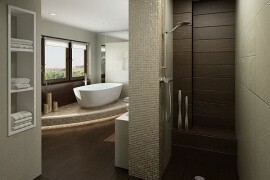 This is an exceptional shower that really embodies modern luxury. 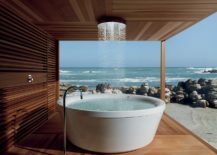 Decorated purely with sleek polished wood it looks particularly elegant, not to mention the outstanding coastal view that cannot be topped by any indoor bathroom. 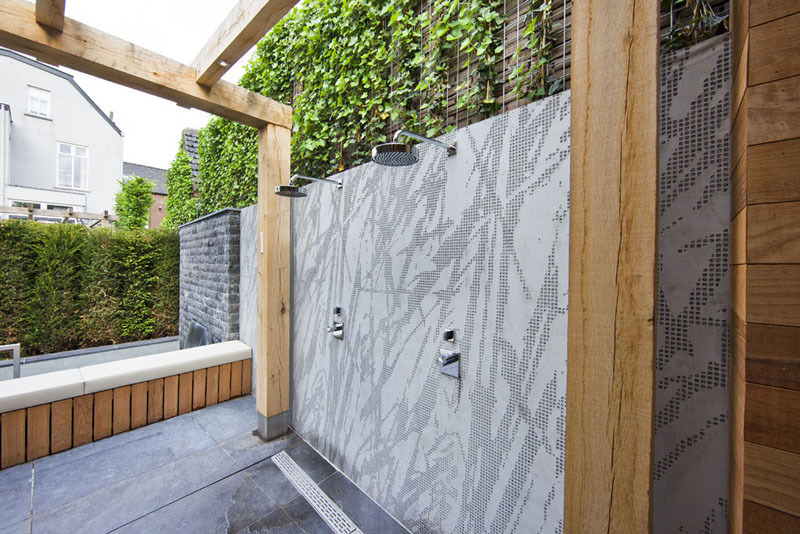 This neutral double shower is a great example of an urban outdoor shower that combines the concepts of dynamic gray hues with the traditional texture of the wood. 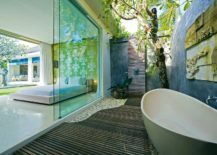 A spacious bedroom is separated from the outdoor shower only by the big glass sliding doors, bringing together the two seemingly opposite concepts of outdoors and indoors. 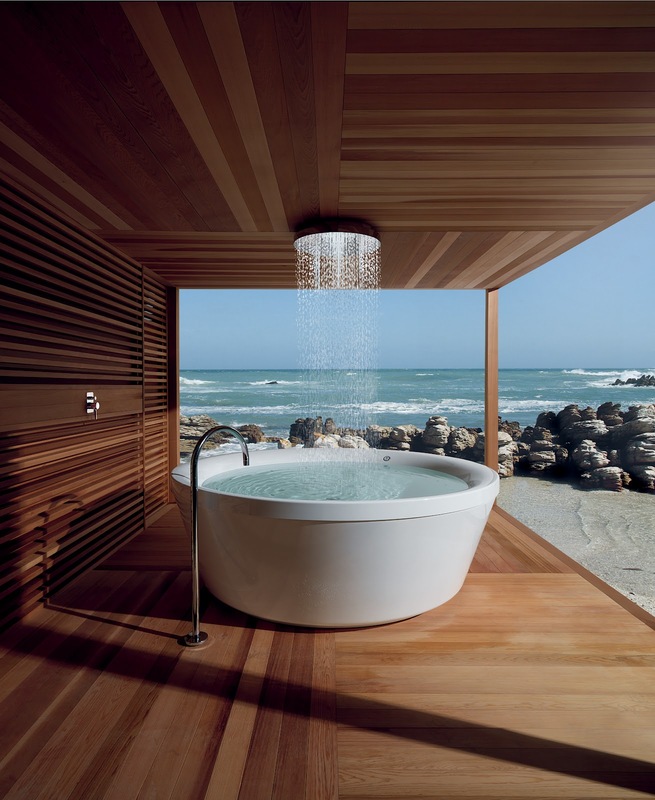 The shower feels very organic and is made extraordinary with the beautiful wooden flooring. 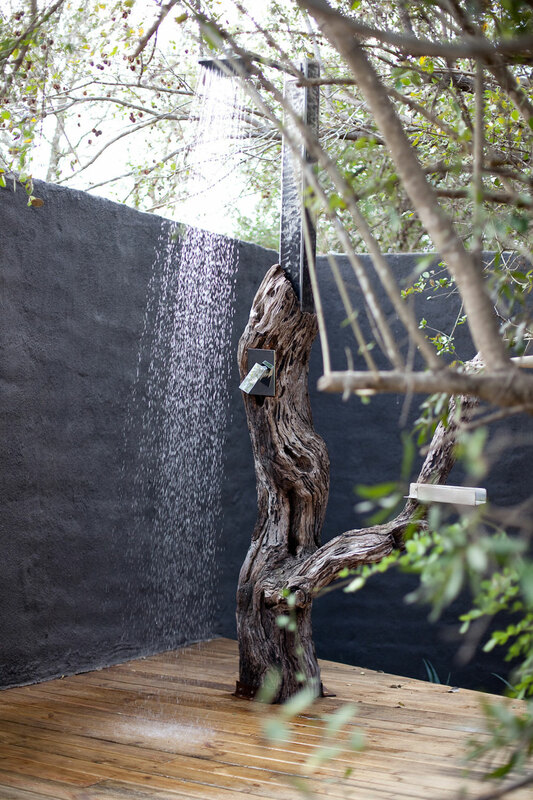 This beautiful outdoor shower combines the best of modern and rustic with a big log supporting up the sleek silver shower and the wooden floor contrasting the concrete walls. 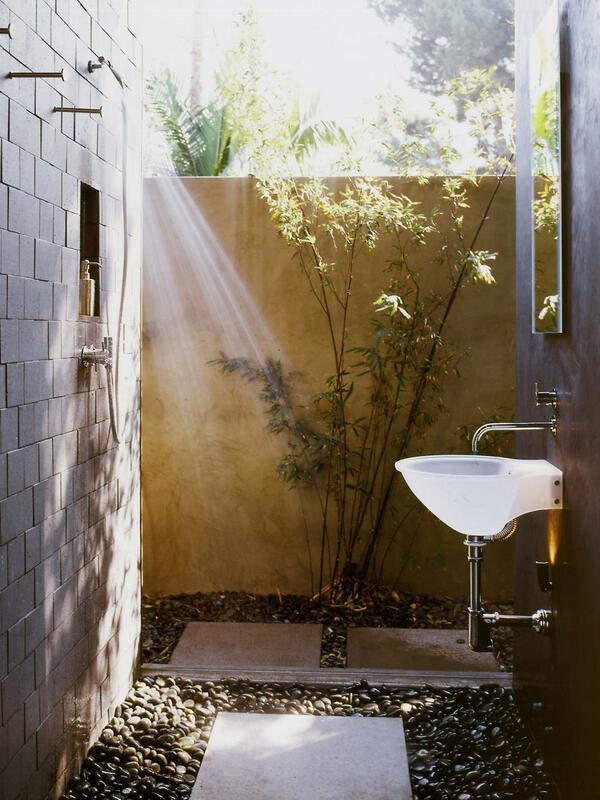 A minimalist shower concept fits right into the bright outdoors. The raw cut stone is an eye-catching element that feels both organic and contemporary. 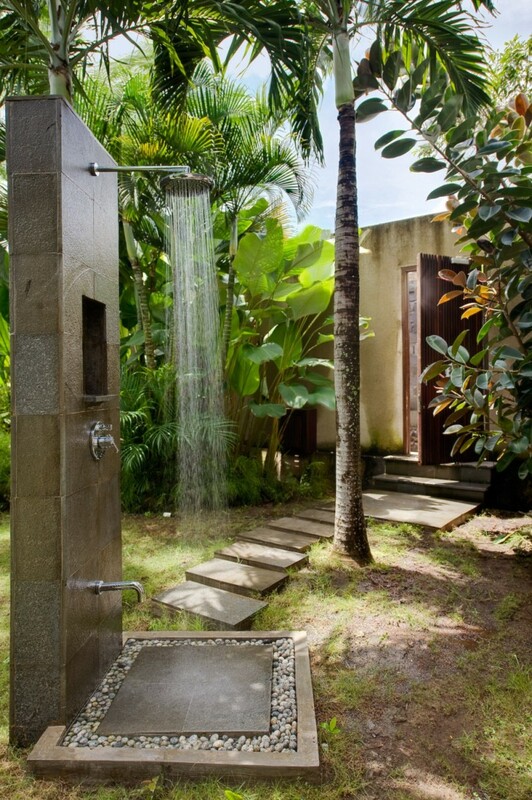 Here’s an almost hidden outdoor shower that grants much privacy and comfort. 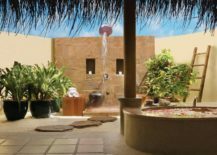 The beige color is a wonderful choice if the goal is to create a shower that doesn’t stand out and rather blends in with the natural environment. 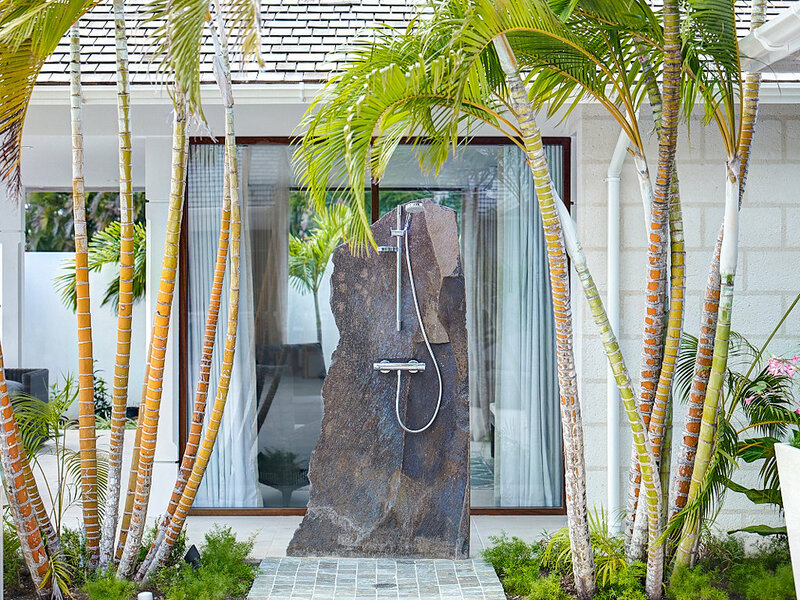 An outdoor shower can even be of a smaller size and still have a polished, gorgeous style! This tiny shower corner makes the best of the pebbled flooring, matching gray walls and a contrasting white sink! 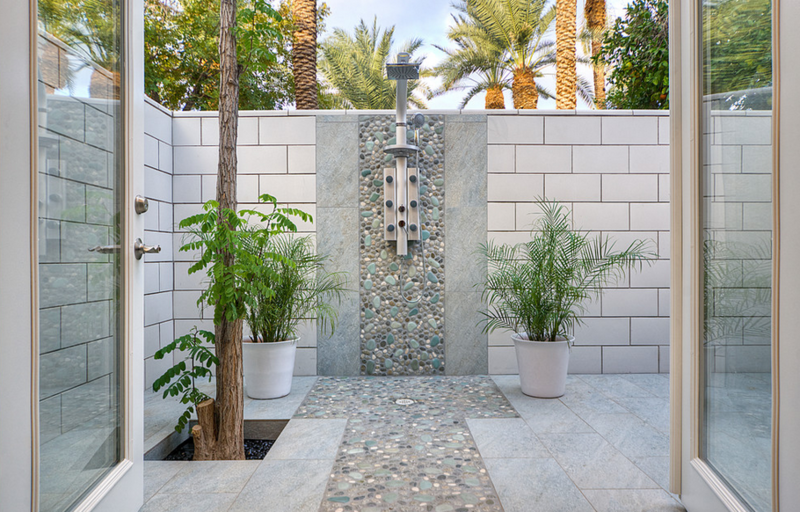 A harmony between dark and light hues creates a balanced outdoor shower area. The dark shower brings elegance to the table, while the light surroundings make the space more lively! 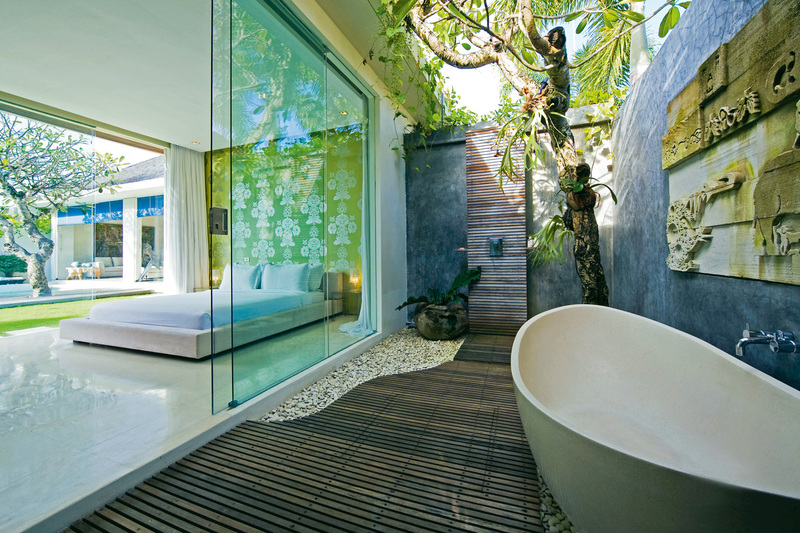 Picture taken at the THE SANCTUARY in Canggu, Indonesia by . 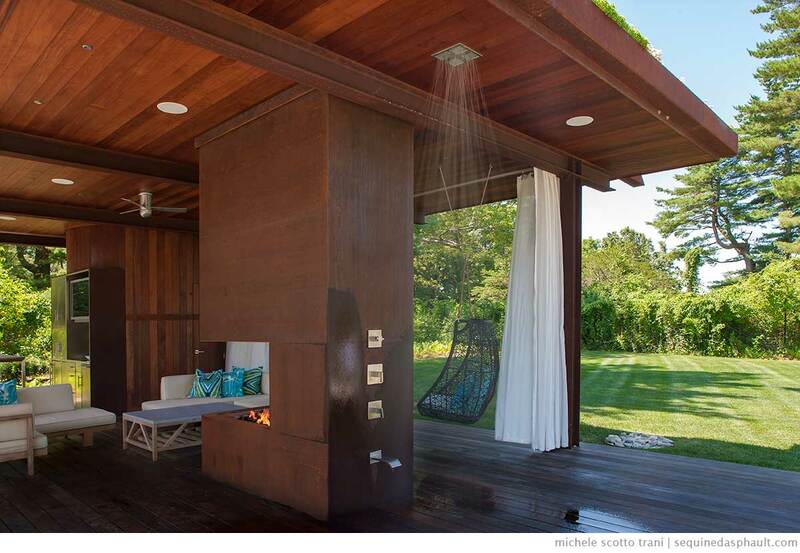 A gorgeous outdoor shower can be adjacent to the lounge area and is ready to be enjoyed on the hot summer days. Cooling off in your own luxurious backyard makes for a perfect summer! 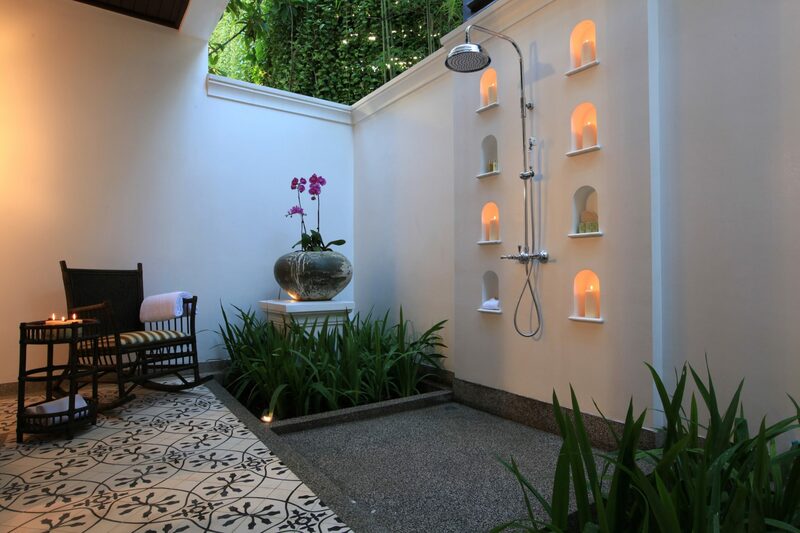 A semi-enclosed outdoor shower with white walls is a peaceful setting made even more serene by the lit candles. It’s the perfect atmosphere to be enjoyed by those who love the comfort of a closed and serene bathroom but also want to breathe fresh air as they shower! 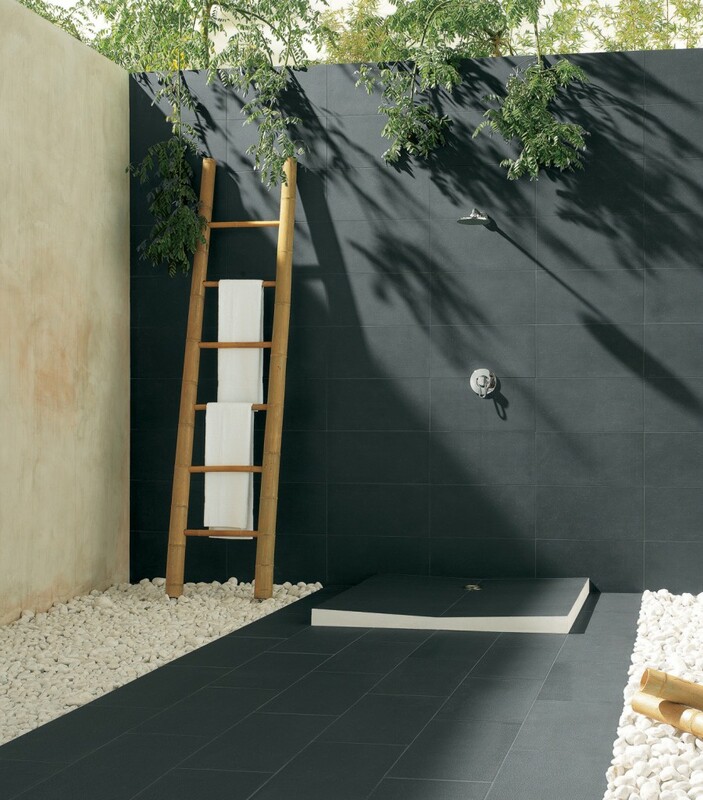 This is a very sophisticated shower that capitalizes on its contemporary monochrome color palette. 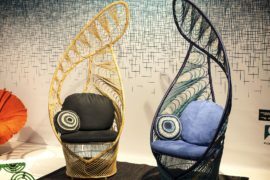 The lack of vibrant colors creates a calming space that would almost feel a little cold if it wasn’t for warm daylight illuminating it, thanks to the fact that it is set outdoors. 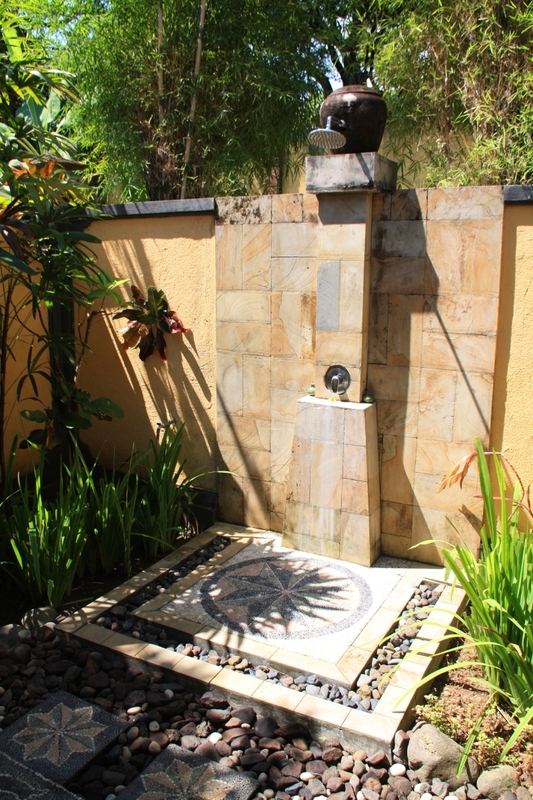 An outdoor shower should always represent the freedom within your majestic home. 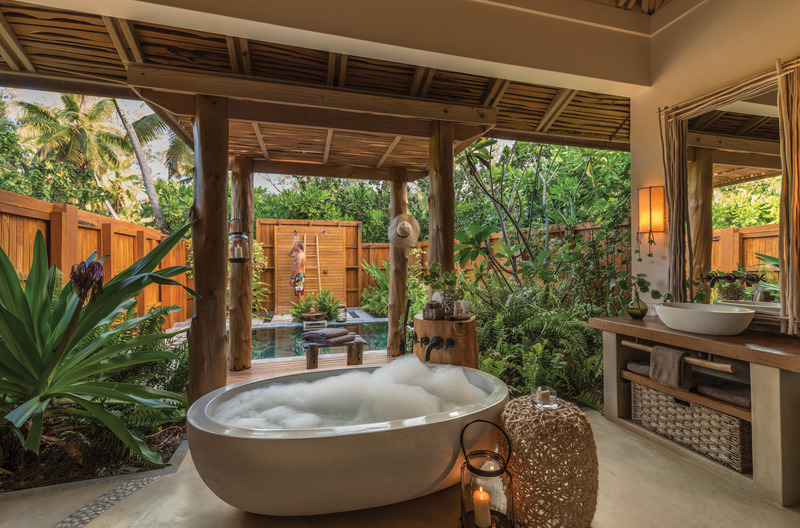 A big outdoor area transformed into a bathroom captures the feeling of intimacy and affluence, on the account of the gentle color hues and the open space! 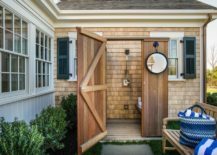 If you want to be able to feel the comfort of your luxurious shower at all times it’s a good idea to go with a well-covered outdoor area. This modern shower featured here on Schulweg in a dark gray color is a part of an ultra glamorous bathroom with a lavish and captivating decor! 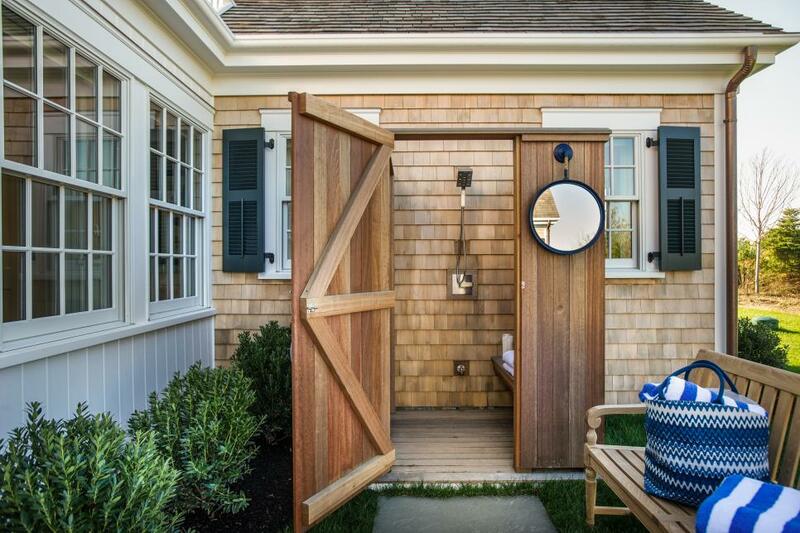 A half-covered outdoor bathroom sets up the shower as the focal point of the space. It’s positioned at the end of the area and takes up the entire width, the light stone walls giving it a modern touch! 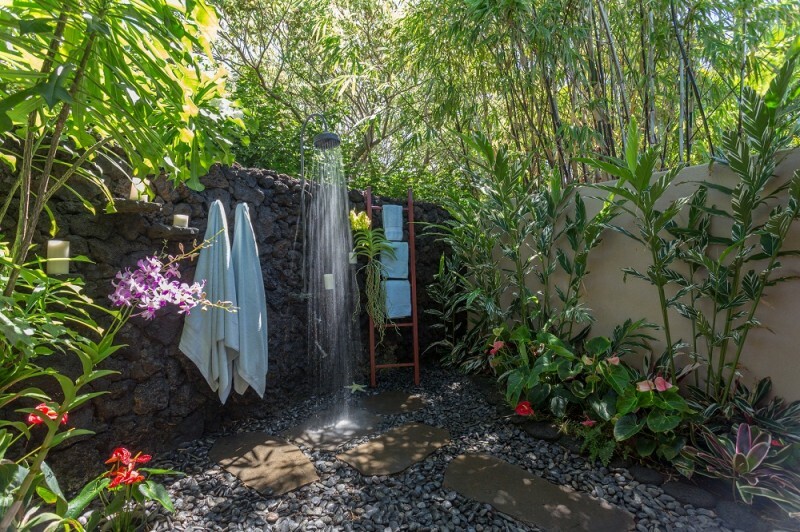 If you don’t want an outdoor shower that gets all of the attention, here’s a great example of that isn’t intrusive when it’s turned off and only shows its true power when it’s being used. 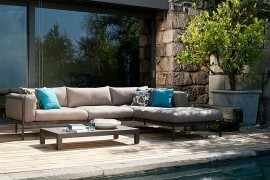 It hides itself in the sleek wooden decor and allows the big lounge area to be the star of the moment! 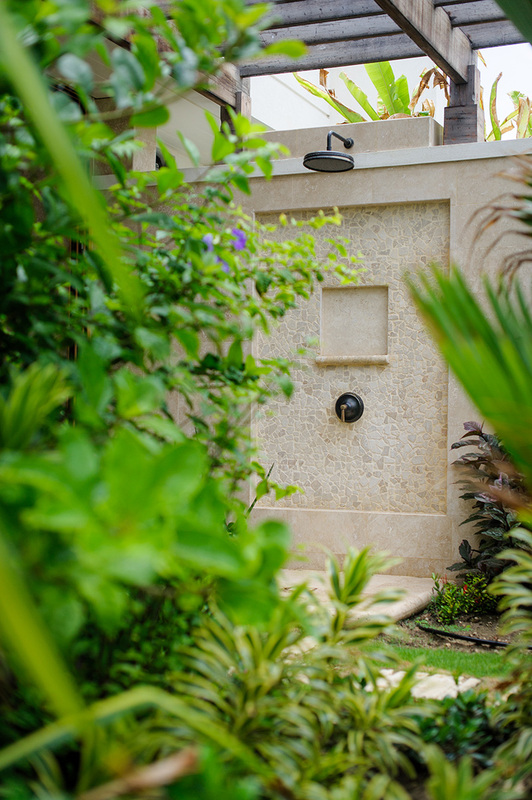 This vast outdoor shower combines the element of stone floors with the look of classic tiles that are usually found in indoor bathrooms. We love the outdoorsy twist on this concept and believe that the two potted plants on the each side of the shower soften the space with their green color! 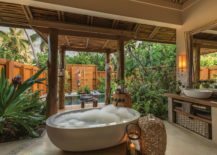 When a bathroom isn’t completely set in the outdoors you have to ensure that it still carries the feeling of being out in the open. The easiest way to do so is with glass walls. 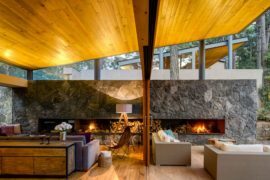 A complete transparency will fill the room with daylight and views of the nature! 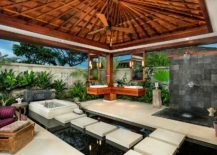 Whenever an outdoor bathroom has more than one strong attention-drawing element, it’s important to connect them together, rather than having them compete against each other. 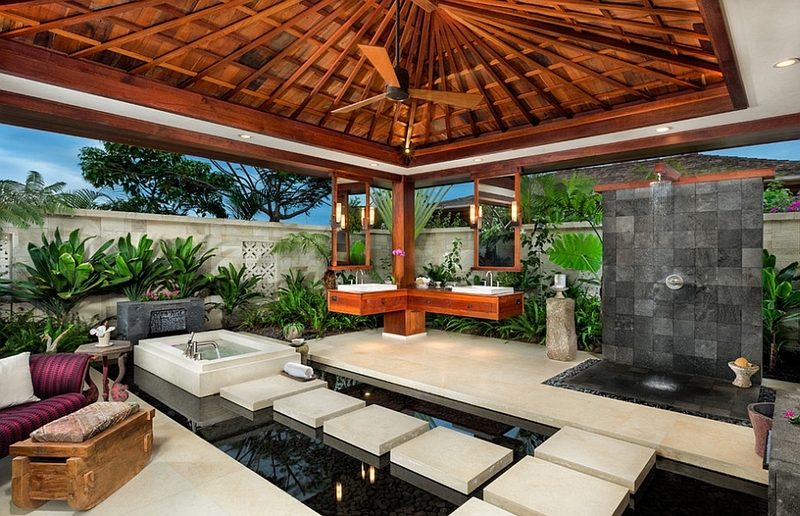 A synchronised color palette is the best solution, as you can see in the case of this glamorous outdoor bathroom! The shower and the bathtub have matching color hues, making the space feel consistent and in sync!